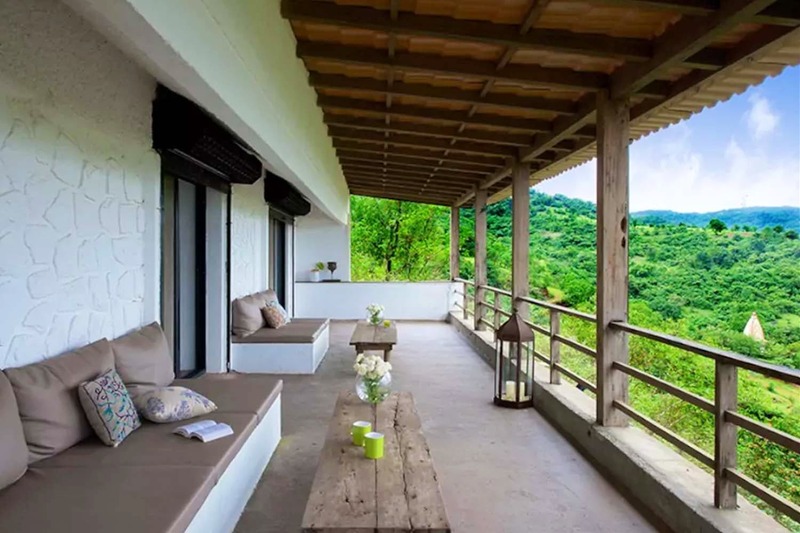 Spread across two acres of land, B89 is a farmhouse that is perched atop a hill, giving you some of the best views of our favourite hill station. Located right next to Bhushi Gaon, the property boasts of spacious balconies where you can sit down with a good book and enjoy all that nature has to offer. With nature all around you and in full bloom, you can go for a walk in the woods or just enjoy the hills right in front of you this monsoon. You could also unwind over a bonfire with your favourite bunch of buddies.The farmhouse has a lot of indoor and outdoor games to keep you company. The rooms are comfortable, full of plush amenities, and all of them open up to spacious balconies, just to give you that breather away from the city. You’ve got enough reasons to take a break from your hectic lifestyle and head to the hills. Cosy, luxurious and with a view to die for, it’s a great place to visit if you’re a large group.